Valerie Jones began her career as a media strategist in the San Francisco office of Starcom Worldwide, a Publicis Company. She learned everything she could about the audiences of clients such as E! Entertainment Television and the style. Network, discovering what they liked to do, how they viewed themselves and how they viewed the world and developed multimedia plans and branded content to engage them. Jones developed a specialization in the digital space and moved to Starcom’s headquarters in Chicago to join its interactive division as a senior manager, creating online media strategies for brands such as Kellogg, Showtime and Nintendo. She launched Smart Start through branded content with Discovery Health and WebMD, developed word-of-mouth advertising campaigns for the new Smorz product and forged new partnerships with Cartoon Network to create advergames for Apple Jacks. Recognizing the growing videogaming trend, she made the jump to the sales side, selling online media for Fox Interactive’s IGN Entertainment. 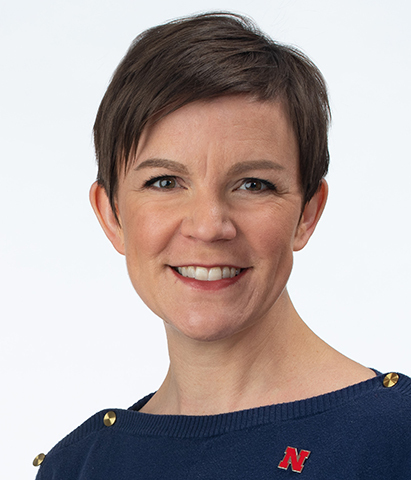 In 2006, Jones returned home to Nebraska to keep doing what she loved: helping clients build brands and connect with consumers through digital and social media. She put her experience to work as an associate director at Bailey Lauerman, developing award-winning multimillion dollar communication plans for clients such as Allstate, Union Paciﬁc, Disney and TierOne Bank as well as pro bono client Autism Family Network. Media plans ranged from mobile and guerilla marketing to digital and traditional advertising. As head of Insights and Analytics at Swanson Russell, she created content strategies, search engine marketing campaigns and website analytics reports for clients such as Scotts, the University of Southern California and BlueCross BlueShield Nebraska. Jones then applied her expertise at Kenexa where, as director of employment branding, she focused on developing and promoting employer brands such as Cabela’s, Chrysler and Whirlpool through digital, social and traditional media. Prior to joining University of Nebraska–Lincoln, Jones opened her own consulting business, Red Rover Media, that specialized in developing clients’ branding and content strategies and creating targeted digital, social and traditional media plans that attract and engage the modern consumer. Jones graduated from Northwestern University with bachelor’s degrees in communication studies and sociology and a master’s degree in integrated marketing communications.